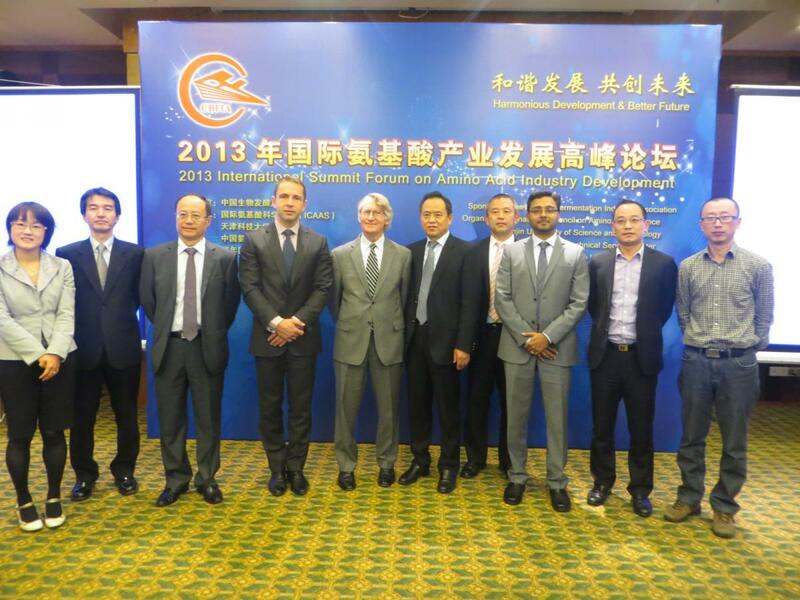 A one-day International Amino Acid Symposium was organized on 19 November 2013 in Shanghai (China). 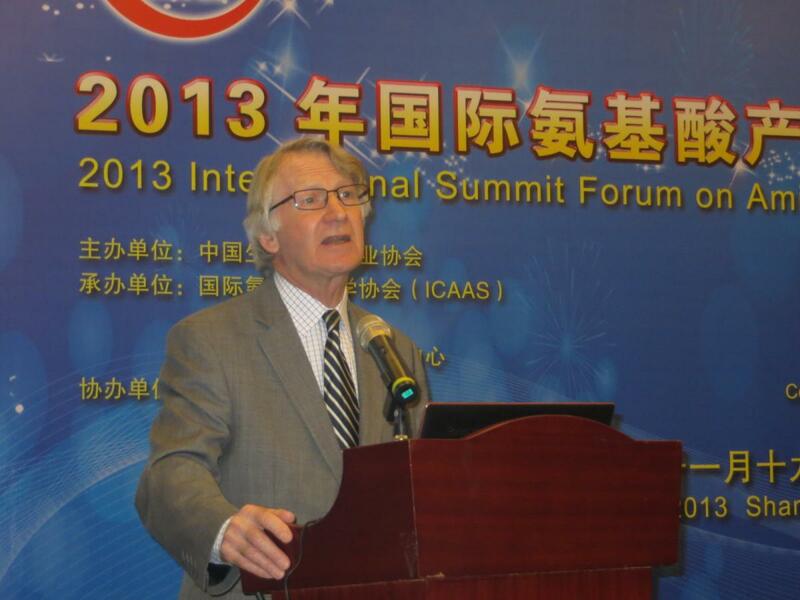 The Symposium was sponsored by the Chinese Biotech Fermentation Industry Association (CBFIA) and ICAAS. 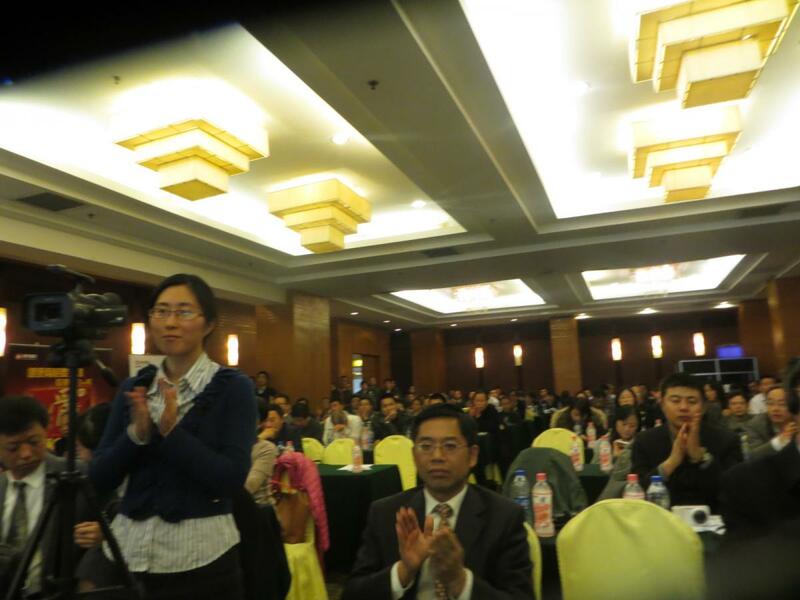 The local coordinators, mainly Real Nutriceuticals Ltd., did excellent work in promoting the event, which was attended by more than 200 people from the biotech and food industries; and was well covered by the Chinese media, including two TV channels. 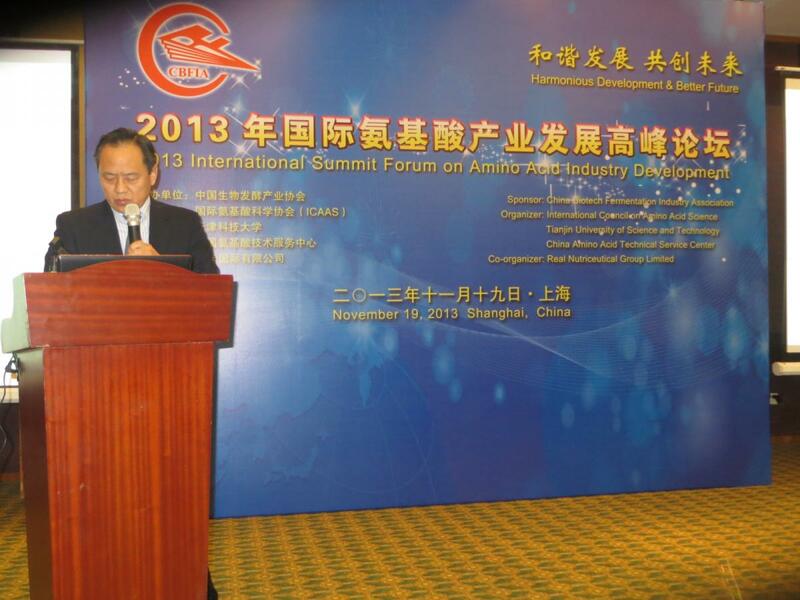 The Symposium was opened by the Chairman of CBFIA (Mr. Shi) who highlighted the current situation of the amino acid industry in China. 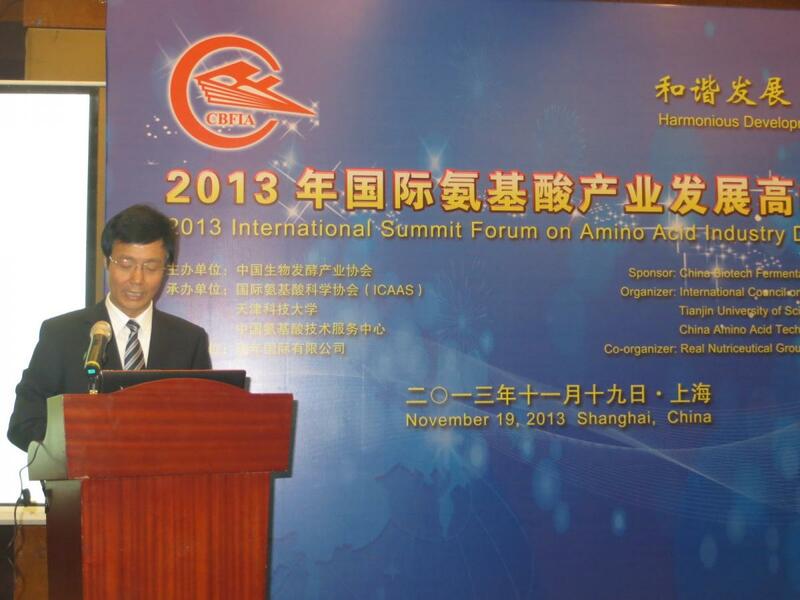 He emphasized that in the year 2012, amino acid production in China reached 3.3 million tons (10% yearly increase), with more than 90% represented by sodium glutamate and lysine. Although Mr. Shi pointed out other successes, he also mentioned the need to increase the production of a broader range of amino acids, and the need to solve a lack of R&D leadership, equipment modernization and insufficient internationalization. Following this, Dr. Rogers introduced ICAAS and Dr. Smriga highlighted the ICAAS efforts related to specifications and the safety of amino acid use by humans. Mr. Wang (Chairman of Real Nutriceuticals Ltd.) described the problems of amino acid marketing in China and Prof. Chen (Tianjin University of Science & Technology) underlined the challenges represented by a lack of standards for amino acids in China as well as ongoing updates to the Chinese Food Law which are affecting amino acid use. 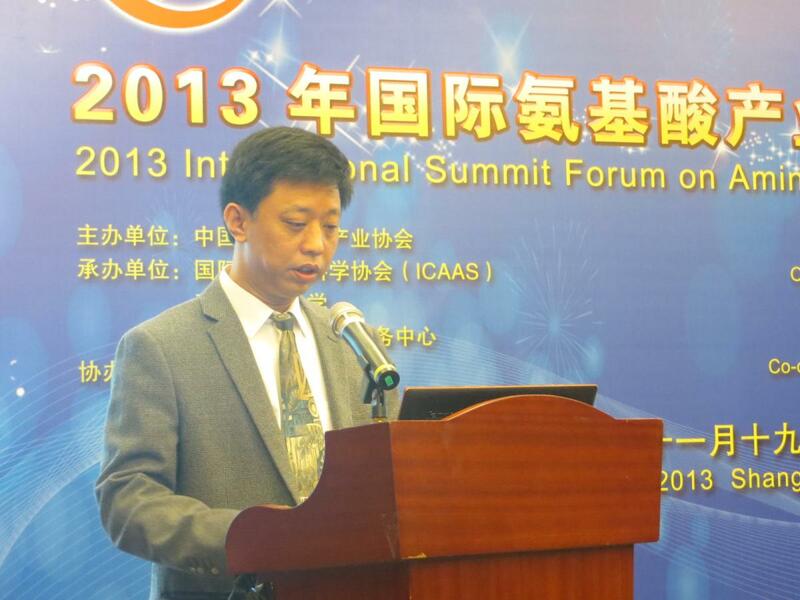 Highlights of the event were the academic presentations authored by ICAAS Advisors, Profs. 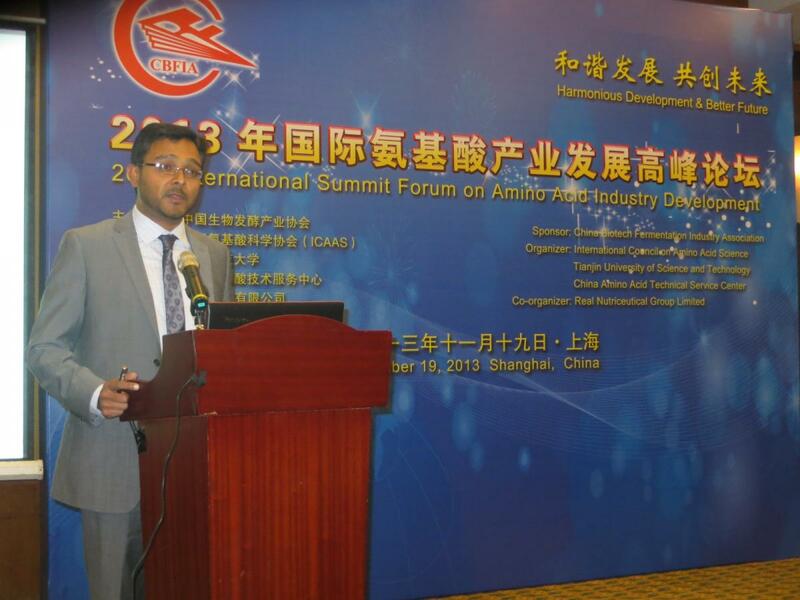 Elango (Canada) and Morris (USA), as well as Dr. Jian (China Amino Acid Technical Service Centre); all focused on amino acid efficacy/safety or production technologies. 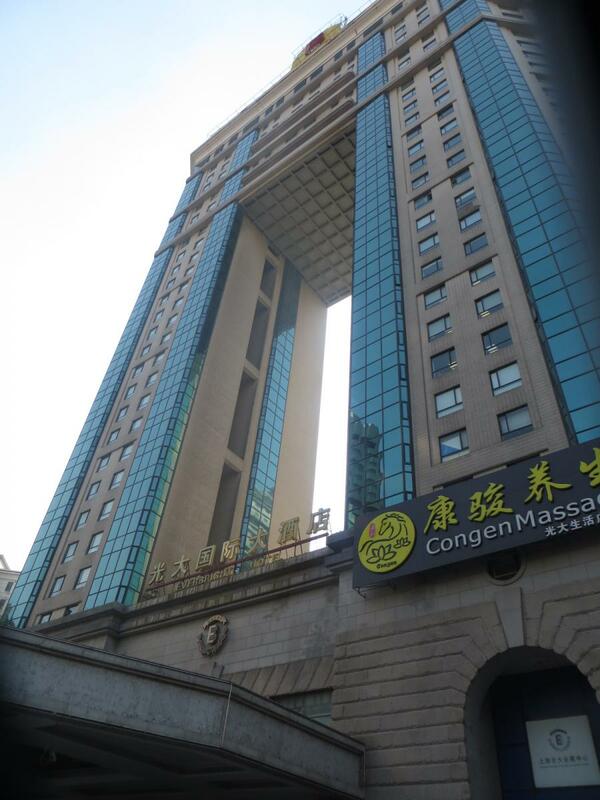 The Symposium was successful in attracting Chinese media, including state TV and national newspapers and thus contributed to promoting quality amino acids in a dynamic and large market. Appropriately, the event was crowned by publically introducing a book by Mr. Wang (Chairman of Real Nutriceuticals Ltd.) and Dr. Wu (Former Secretary, National Pharmaceutical Industry Association) and entitled “Amino Acids – Root of Health”.